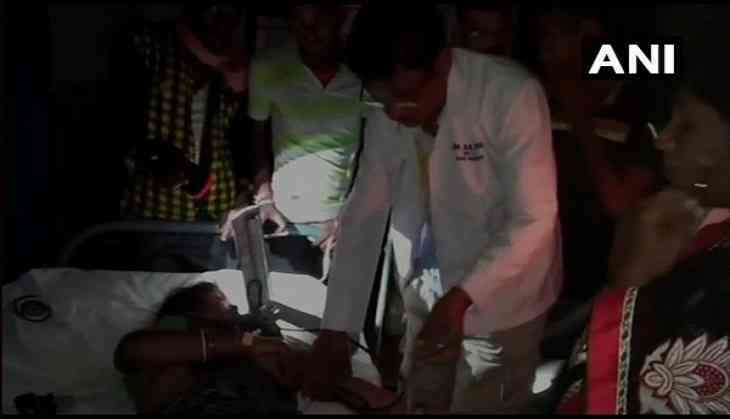 In yet another case of medical apathy, doctors in a hospital in Odisha's Mayurbhanj are left with no option but to dispense medical treatment to patients using candles and flashlights, risking the lives of many, due to an acute crisis of power in the area. Dr. Dhakhina Ranjan Tudu of Pandit Raghunath Murmu Medical College and Hospital told ANI, "I see 180-200 patients daily. There is an acute power crisis. When patients come, I have to see them, with or without electricity." The reason behind the plight of the hospital is lack of availability of proper electricity in the hospital, to which the authorities in the area seem to have turned a deaf ear. The hospital, despite its impoverished condition, continues to function without a transformer. Every day, as many as 200 patients visit the hospital, some even in critical conditions, for treatment, even after running the risk of medical negligence due to unavailability of proper light. Owing to the rampant shortage of power, doctors are seen examining and treating patients using flashlights on their mobile phones, as well as candles. This has forced them to appeal to the authorities to deploy adequate power backup in the hospital.